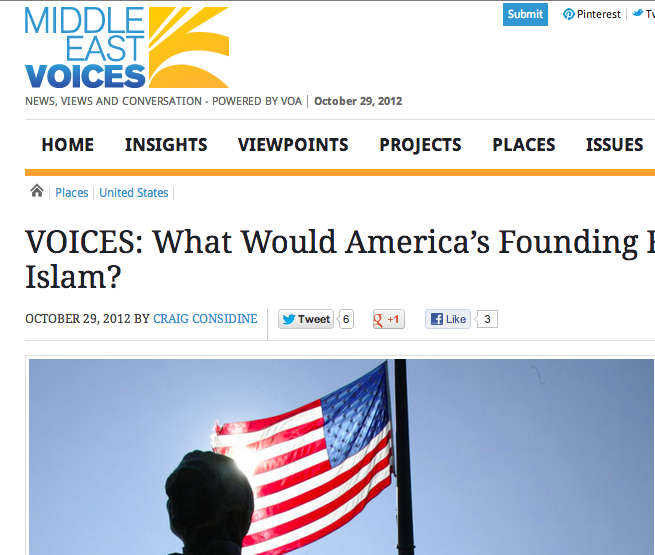 I’m quite honoured to have had Middle East Voices of Voice of America pick up my latest One Film 9/11 article on the Founding Fathers and Islam. You can see the article here. Middle East Voices is a unique social journalism project powered by Voice of America (VOA). Its goal is to inform, amplify voices, stimulate dialogue and foster understanding within, without and across man-made borders.